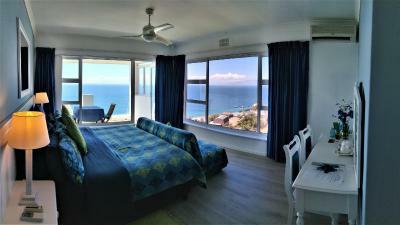 Lock in a great price for Penguinden Accommodation and Apartments – rated 9.3 by recent guests! 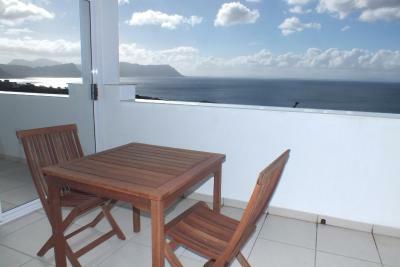 Great value, amazing view, good location, welcoming hospitality. Fantastic views, host was lovely. Cleaning staff not very thorough. Safe environment and great house. What a pleasant surprise! Penguinden is super clean and well-appointed, and my room's terrace had an amazing view over the bay, especially for the sunrise. The bed was big and comfortable, the decor was tasteful, and the wi-fi was strong. My host John was very welcoming and accommodating. We booked two rooms so had the floor with us. The view from Master Bed and Living was breath taking. To get up to that view was simply amazing. Stayed only for a night. Washrooms were neat and had fresh towels. Heater was good enuf to keep kids warm and cozy. I had a very peaceful stay at Penguiden. The views are breathtaking! Check in was straightforward and the host was lovely. 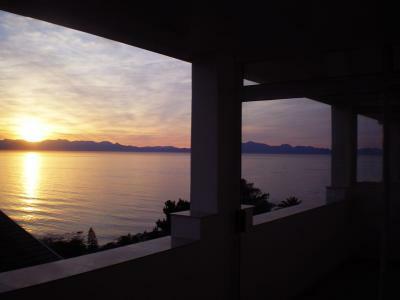 I enjoyed using the kitchen facilities and loved watching the sunset from the balcony over dinner. The bed made me feel like heaven on earth,, not to mention the jacuzzi nd the entire set up,,, IT WAS AMAZING! I'm definitely going back there! Thank you! 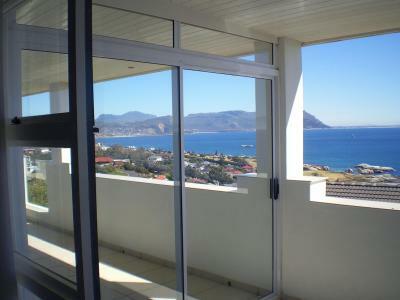 Great views from the apartment and a lovely balcony . Well equipped kitchen. 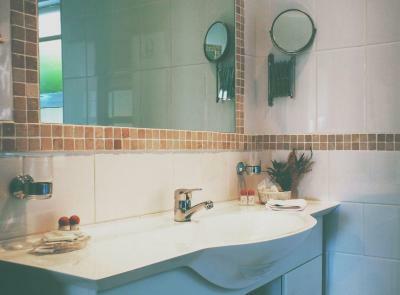 Lovely big bathroom. 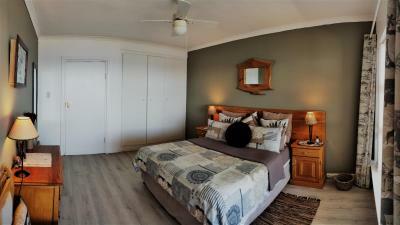 Penguinden Accommodation and Apartments This rating is a reflection of how the property compares to the industry standard when it comes to price, facilities and services available. It's based on a self-evaluation by the property. Use this rating to help choose your stay! 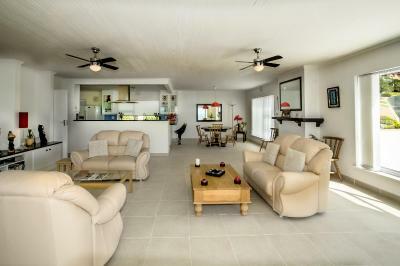 All suites are decorated in bright colors and are equipped with air conditioning and satellite TV. 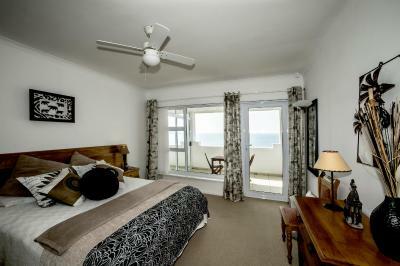 Each suite features a balcony and the private bathroom has a bath, shower or both. 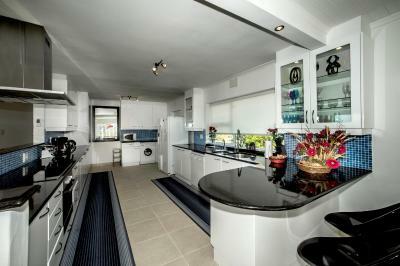 Kitchen and dining facilities are available. 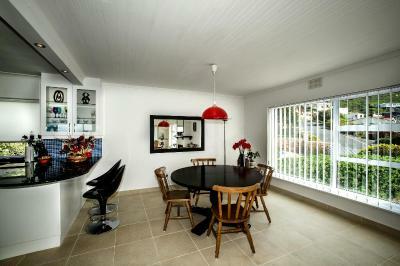 Some of the suites share a kitchen and dining area. 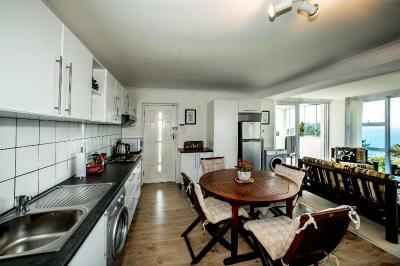 Guests can make use of the barbecue area and its related facilities. A number of restaurants serving a variety of cuisines can be found within 5.6 mi of Penguinden. 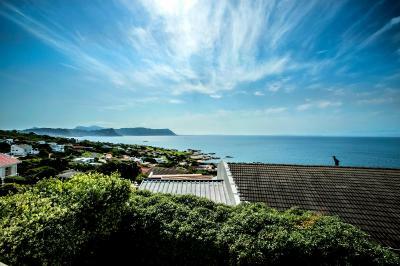 Cape point is a 15-minutes drive away, Cape Town city center 40 minutes, Groot Constantia wine estate 19 mi, and the Cape Town International Airport is 28 mi from the property. 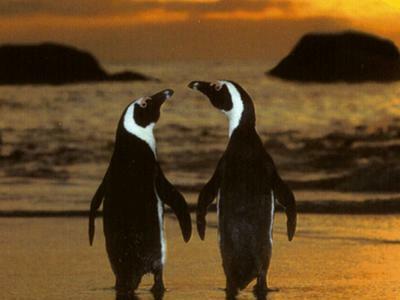 When would you like to stay at Penguinden Accommodation and Apartments? 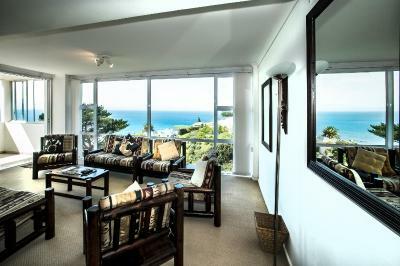 This sea-facing, air-conditioned suite features a private balcony and patio with views of the garden. 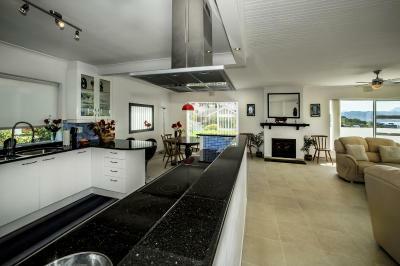 It includes a satellite TV and access to barbecue facilities. The suite shares a dining and kitchen area with another room. 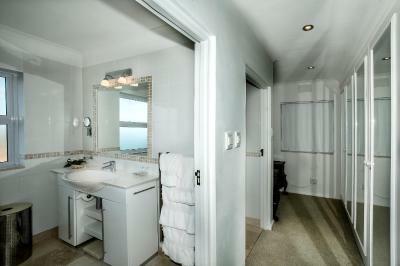 The suite has both, his and hers private bathroom. 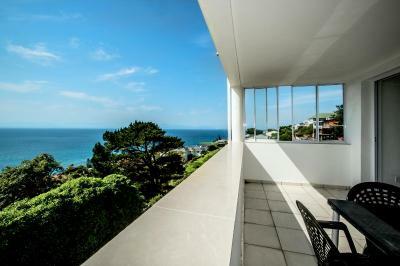 This suite features a balcony with views of the ocean and garden. 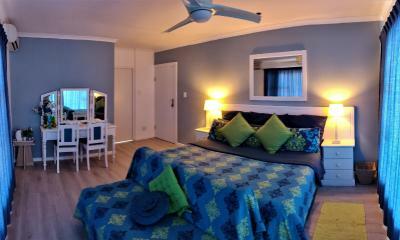 The suite shares a lounge, satellite TV, dining and kitchen area with another room. 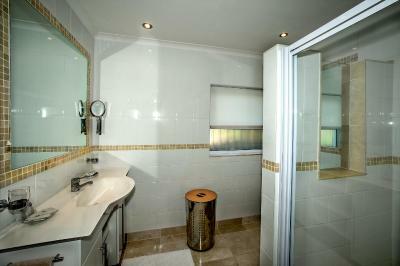 The separate private bathroom has a bath, shower, bidet and hairdryer. 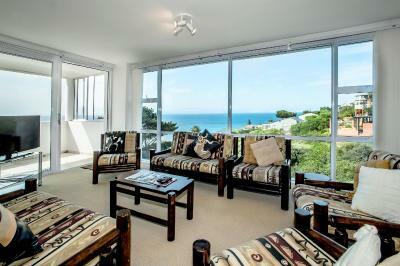 This spacious suite features a balcony with views of the sea and mountain. 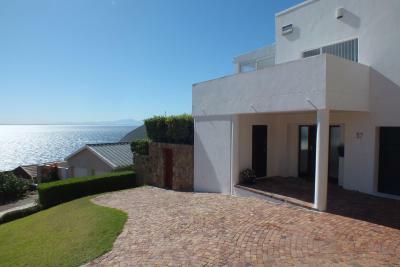 It is equipped with a seating and dining area, a satellite TV and open plan kitchen. 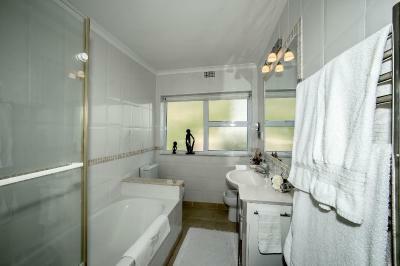 The bathroom has a bath, shower and hairdryer. 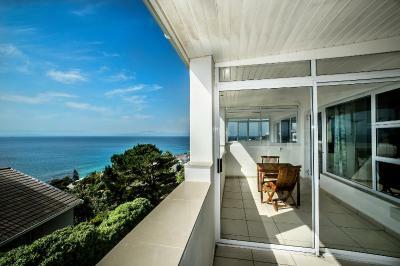 This sea-facing apartment is located on the top floor of the building and features two spacious double rooms and a private balcony with views of False Bay. 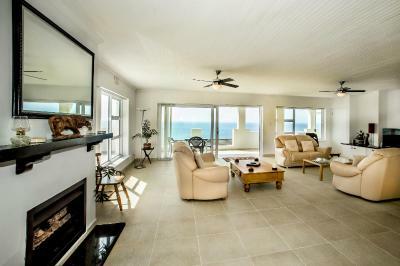 It is equipped with a living room, dining area and a satellite TV. 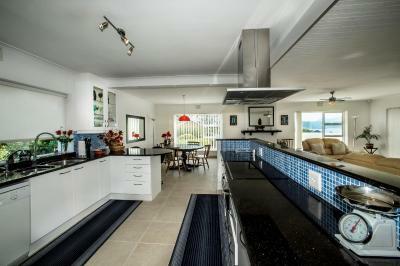 It includes a fully equipped kitchen and barbecue facilities. 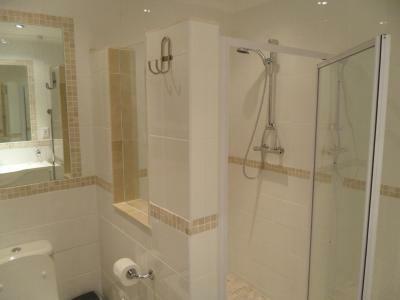 The bathroom has a bath, shower and hairdryer. 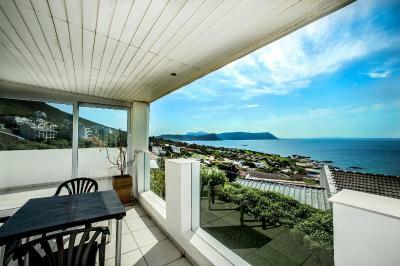 This spacious apartment features a wide balcony with views of the sea and mountain. 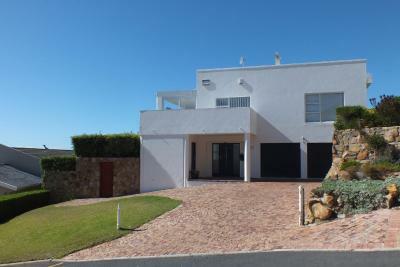 It is equipped with a seating and dining area, a satellite TV and open plan kitchen. 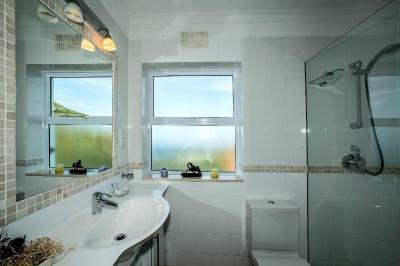 The modern bathroom has underfloor heating and a shower. House Rules Penguinden Accommodation and Apartments takes special requests – add in the next step! One child from 4 to 12 years is charged 50 % of the room stay per night and person when using existing beds. 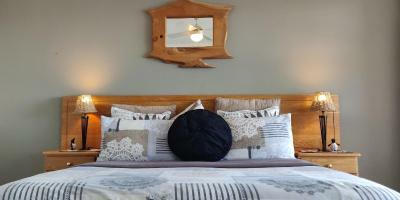 All older children or adults are charged 100 % of the room stay per night when using existing beds. Penguinden Accommodation and Apartments accepts these cards and reserves the right to temporarily hold an amount prior to arrival. Everything. 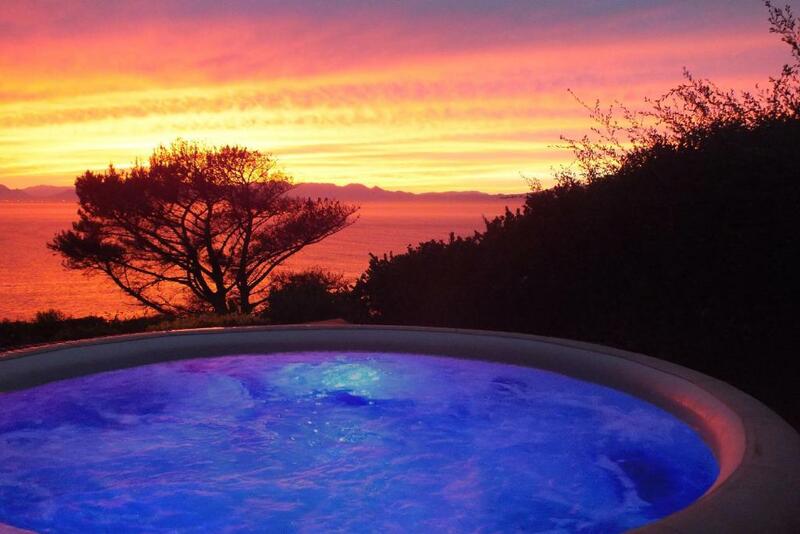 Especially the jacuzzi was a nice surprise. Fantastic apartment. 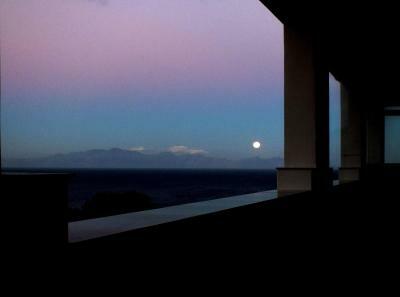 The view is extraordinary! We enjoyed our stay. Easy check in and check out. Very nice contact to the owner. We loved the Jacuzzi. The views were amazing. The Host was very helpful and very nice. 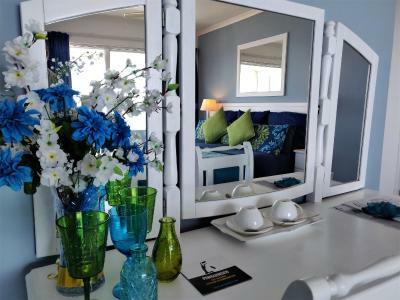 Very spacious & very well presented. 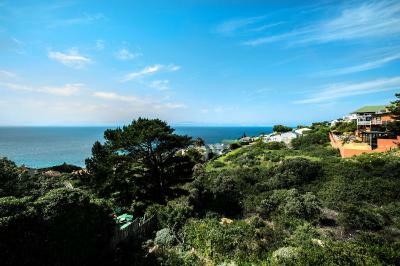 Beautiful views out to sea. Lovely decor too. Very comfortable bed, stunning view. The fifth bed is in the living room. The curtains there didn't work, which means that you awake before 6am. Besides, there is a hot-tub outside, but not a nice terrace / sun-roof, so it is hard to take a sunbath / relax outside. The internet (wifi) was so-so. Sufficient space. The view (outside) is nice. The apartment was clear and tidy. 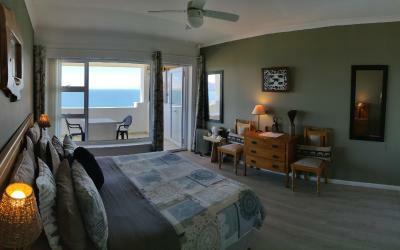 We stayed at the one-bedroom apartment at Penguinden and it was just perfect. 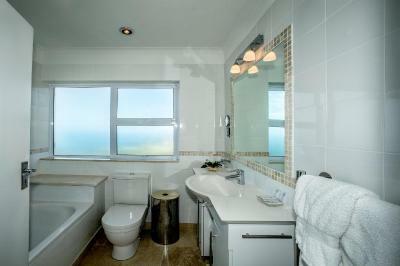 The apartment is very spacious, modern, well equipped, offers an amazing view and all the comfort you’d need. 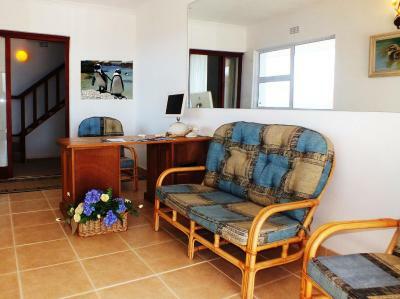 It’s the perfect base to view the penguins in Simon’s Town (just a couple of minutes away) and also the Cape of Good Hope. The entrance to Cape of Good Hope National Park is just a 10 minute drive away. 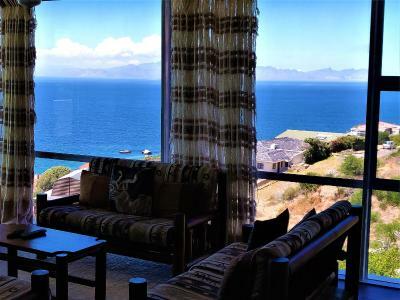 So staying at Penguinden is the perfect plan to beat the crowds (lines form on the road from Cape Town as early as Kalk Bay and also in front of the National Park entrance.) 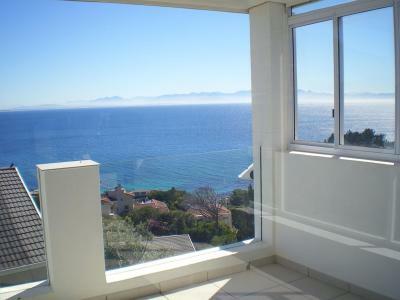 There are nice restaurants in Simon’s Town and Kalk Bay and a big supermarket at the entrance of Simon’s Town for self caterers. 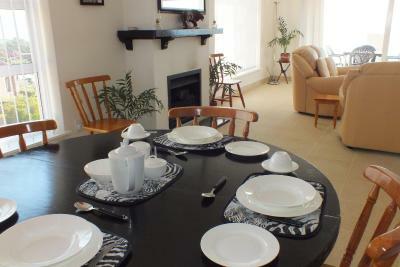 John, the host, is very friendly and helpful and ensures you are having a great stay. No TV in room, no fan or aircon.